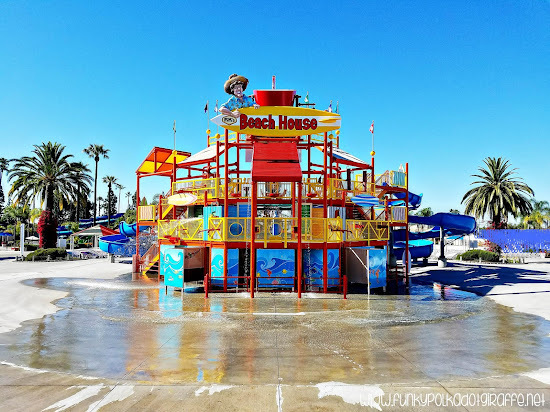 One of my favorite thing about summer time in Orange County is all the great options for water play with the family. One of our favorite places to cool off and splash around is Knott's Soak City! If you've never been, you'll definitely want to add it to your summer bucket list. And if you have, then you're going to want to make sure you make a return visit this summer and enjoy all that Knott's Soak City has to offer. 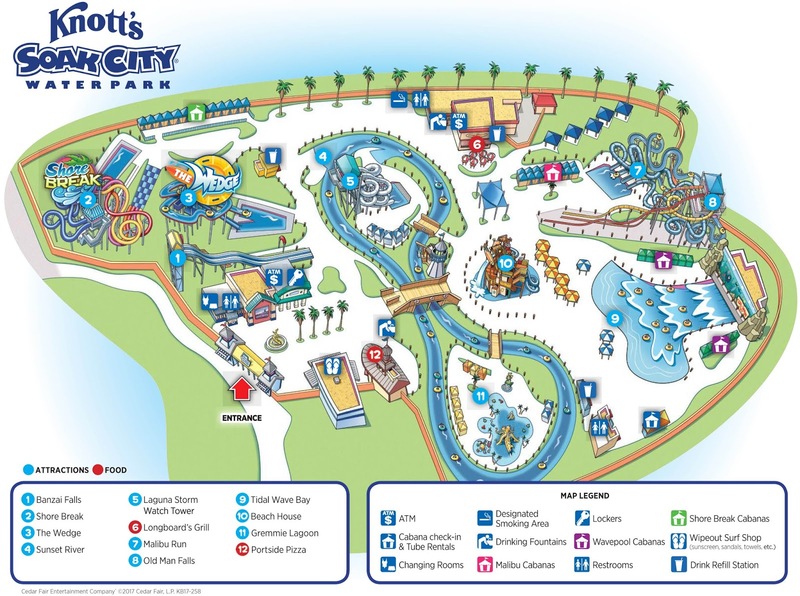 I love Knott's Soak City because it is easy to navigate and get around and there is something for everyone in the family to enjoy! So join me as I give you my TOP 10 TIPS for enjoying Knott's Soak City to the fullest! If your family is anything like mine, then they all want to do something different when you arrive somewhere and everyone wants to take off in a different direction. If you check out a Knott's Soak City map before you get to the water park, you can make a plan for where you'll try to sit, where you'll meet if you get separated and maybe make a rough schedule for what you want to do during your visit. To make sure that you get seats in the shade and can get on some of the more popular water slides before the lines get long, you'll want to arrive early. This means that if the park opens at 10:00am, I like to be parked and in line by 9:30 so that we can get through security and find our seats in the shade for the day. The grass areas are also up for grabs, so a lot of people bring their own chairs and umbrellas and set up in the grass for the day. If you do bring an umbrella, it has to be less than 8' in diameter. You'll want to stay hydrated and bottled water and sports drinks are one of the things you can bring into Soak City. 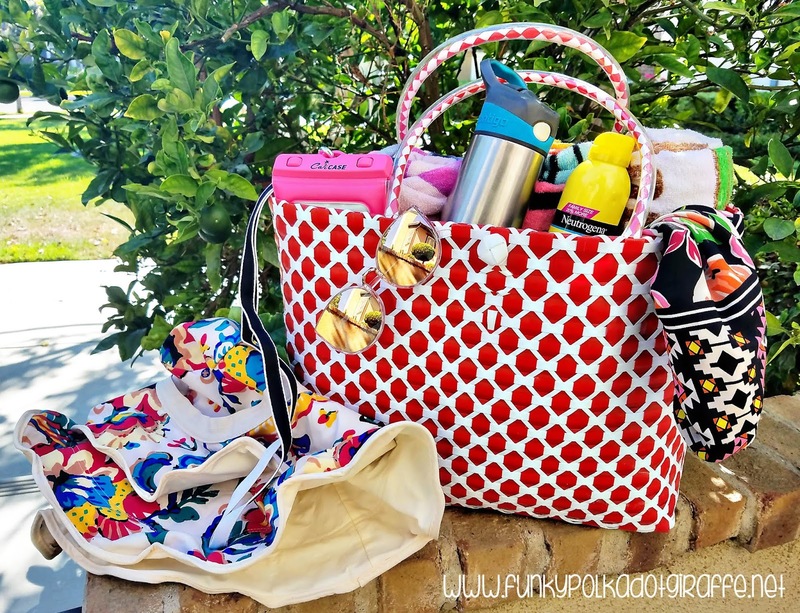 You can bring small hand-held coolers that don't exceed 12"x18" and contain only water and sports drinks. The ground can get really hot - especially on the bridges! So wear a cheap pair of flip flops wherever you go in the park. You won't be able to wear them on most of the slides, so make sure it's a pair you're okay leaving them at the ride entrance while you ride. You can rent a small locker for $15 and it's the best choice to make at the water park. It's a great place to store your keys and other important personal items (WALLET!) 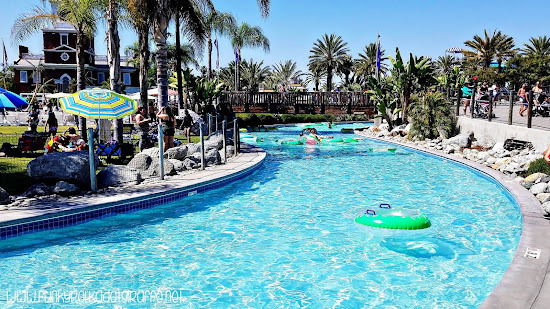 so that you can feel free to play and not worry about leaving it unattended while you float the lazy river a half dozen times. If you're up for fancier accommodations, consider renting a cabana for you and seven of your closest friends. You'll get a patio table with umbrella and four chairs, four lounge chairs, 4 inner tube rentals, and waiter service. I like to keep my phone with me while I'm the water park to take pictures and to be reachable in case of emergency. So, I always bring my waterproof phone case to keep my phone safe and dry. 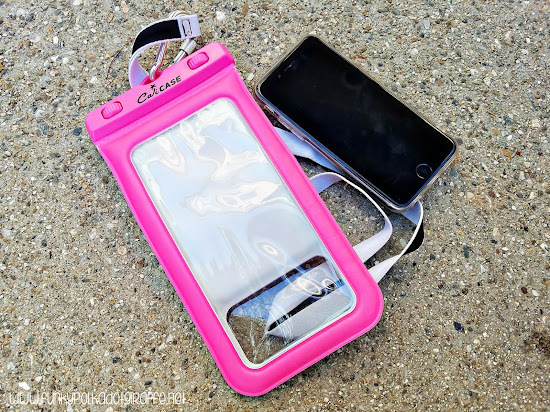 My favorite is the Extra Large Waterproof Floating Case by CaliCase because it floats and it's HOT PINK! If you forget to bring one, there is a gift shop inside Soak City that has cases for sale. 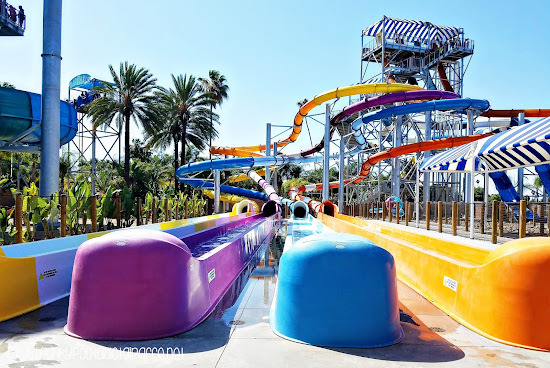 Lines on the big slides can get backed up, so you'll definitely want to ride slides like The Wedge, Shore Break, and Banzai Fall first thing. As soon as we get settled in our spot for the day, I tell the kids to pick the slide they want to go on most and go there first! Seriously. They are delicious! You'll thank me! 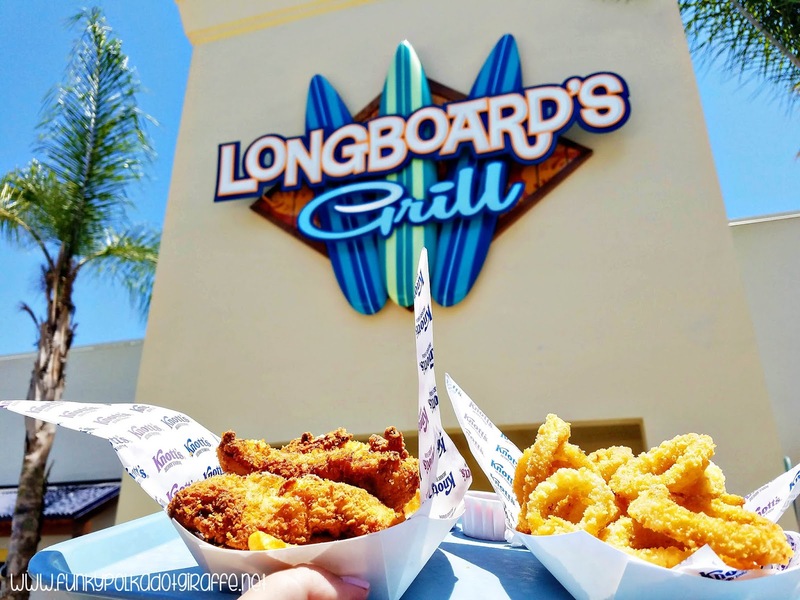 The kids were crazy for the chicken tenders and we split all the food between the four of us and everyone was fueled and ready for more fun! You'll also want to grab a refillable souvenir bottle for drinks! It's only $11.99 online and you get FREE REFILLS the entire first day of purchase. Then refills are only $1.00 on any future visit and can be used at both Soak City and Knott's Berry Farm. Boysenberry Punch, y'all! 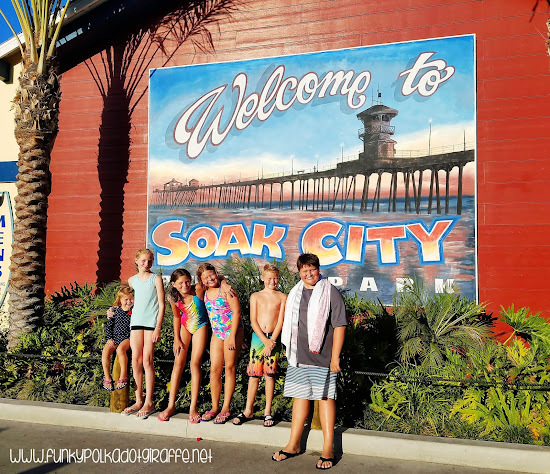 Soak City is WAY more fun when you have friends to enjoy it with! 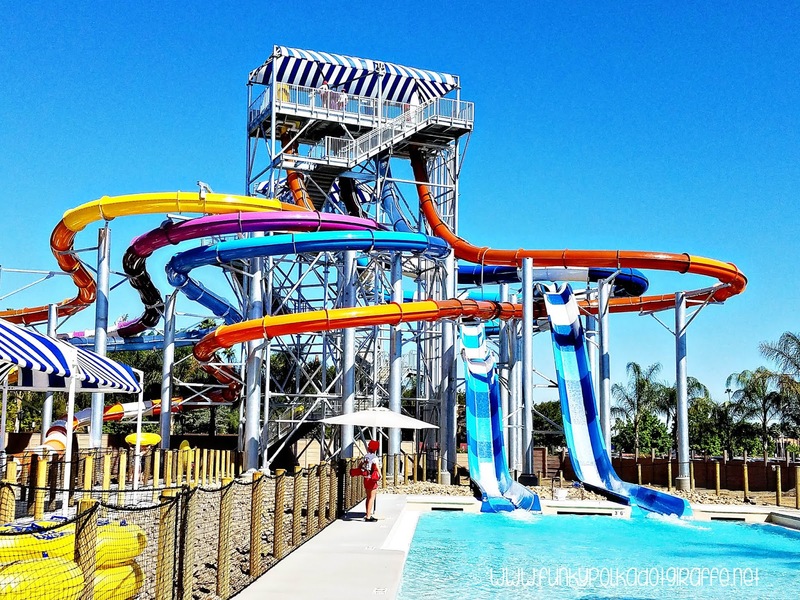 The kids can buddy up and go on all their favorite slides together - it's awesome! 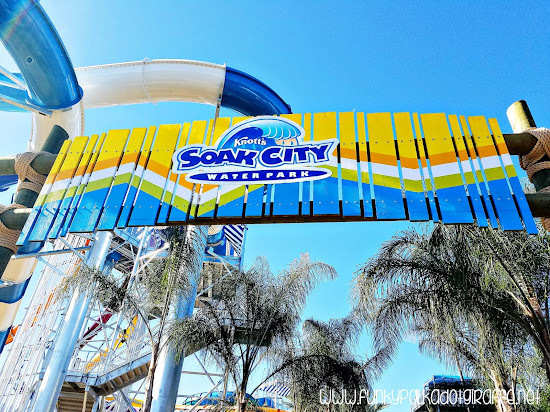 You can also get Knott's Berry Farm Gold Season Pass so that you can enjoy Soak City all summer! If you're going to be at Soak City all day, you're going to want to make sure that you have everything you'll need to make sure the day is enjoyable for everyone. 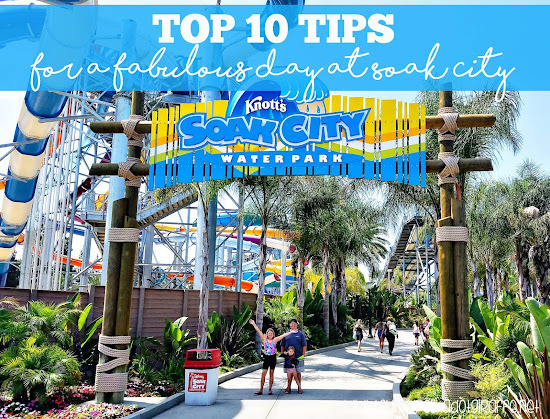 There you have my TOP 10 TIPS for a successful day at Knott's Soak City. 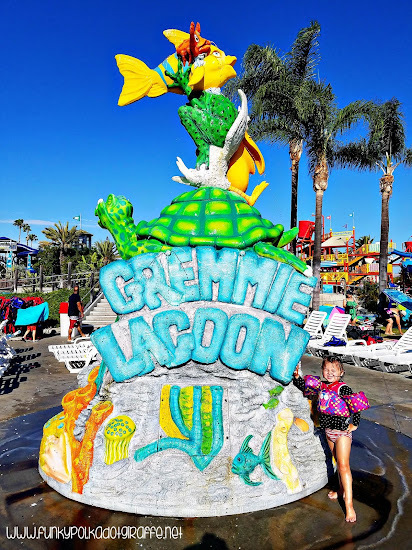 You can check out our FIVE FAVORITE THINGS about Knott's Soak City too for even more great info about this awesome water park. WHAT'S YOUR BEST TIP FOR ENJOYING A DAY AT THE WATER PARK?